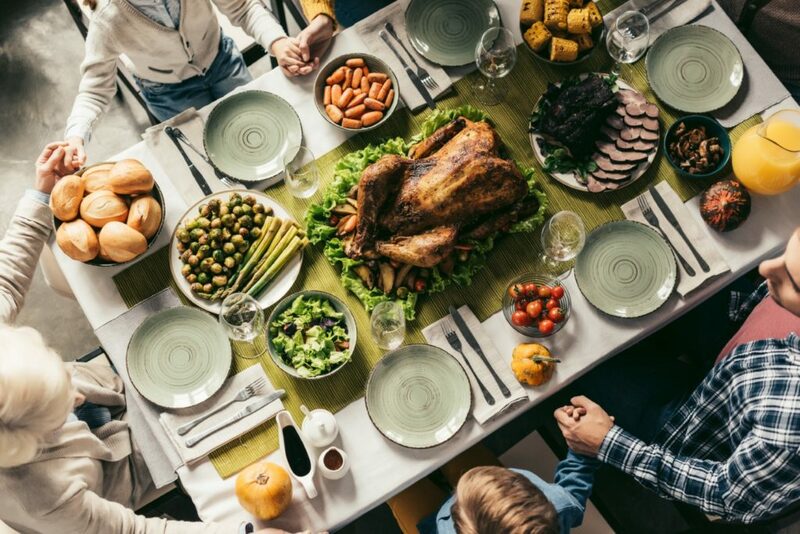 Thanksgiving is a time to be grateful. I’m grateful for my family, my friends, my health and if I’m being 100% honest here, once the holiday dinner is done and the plates are piled high I’m really grateful that I have an amazing dishwasher. From gravy to grease, cranberry sauce and a little too much stuffing I ask a lot from my dishwasher. 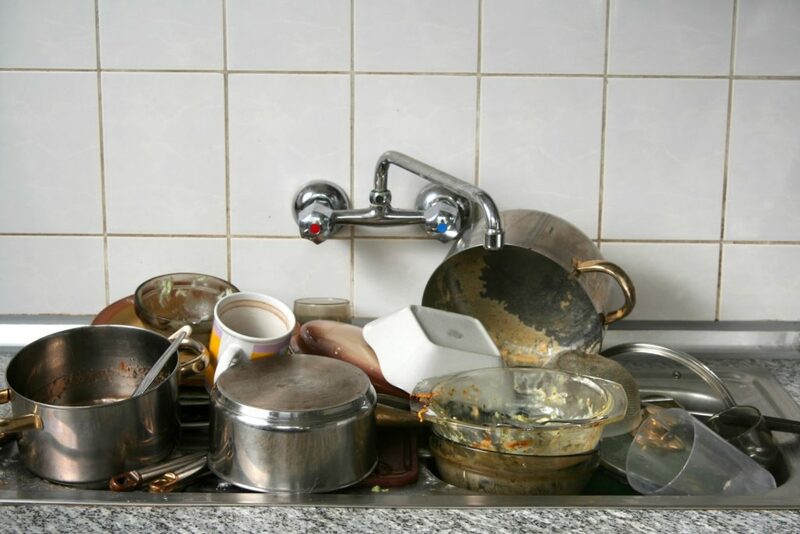 And with so many dirty dishes, it’s easy to forget that you need to keep your dishwasher clean too. A clean dishwasher works better, it cleans faster, and it breaks down less often. So don’t let this holiday be your dishwasher’s last chance to shine. With this handy list of do’s and don’ts your dishwasher will keep you thankful for years to come. DO wipe the outside of your dishwasher with a microfibre cloth, soft sponge, or specialized cleaning products. With people coming over, you want your kitchen to look its best. And be sure to take extra care wiping down stainless steel finishes, and electric control panels. 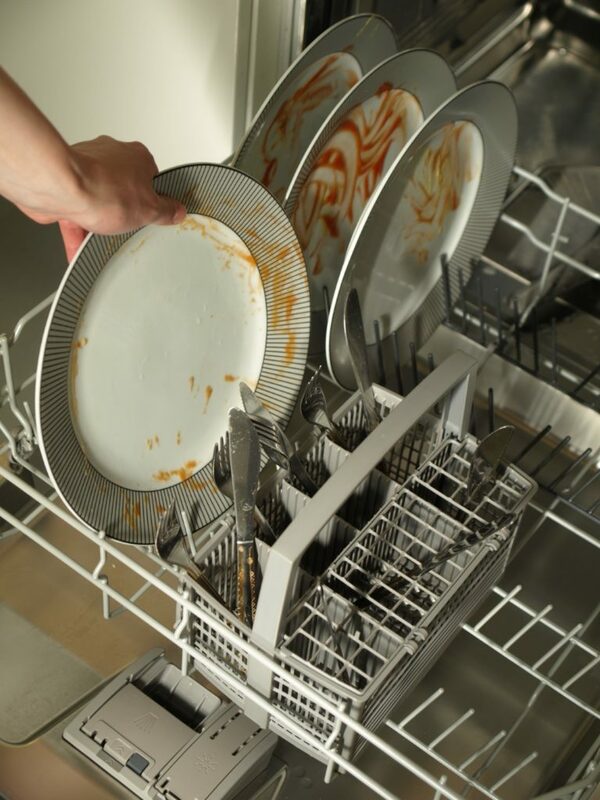 DON’T rinse your dishes before loading them into the dishwasher. Many dishwasher’s use auto sensors to determine soil levels and pre-rinsing your dishes may result in a less than perfect cleaning. And that means you could be leaving food and bacteria behind. DO run a hot water cycle with the dishwasher empty. Adding a cup filled with white vinegar to the upper rack is all you need to sanitize the drum and keep your dishes spotless. DON’T forget to flush the drum with baking soda after a vinegar rinse. A cup of baking soda sprinkled inside the machine on a hot cycle is all you need to eliminate stubborn stains and odours. DO clean the filter. Most European brands, and even some North American models have a manual filter in the drum, next to the washing arm. Unscrew the filter and physically remove any food particles before rinsing the screen clean with a little dish soap and hot water. DON’T put greasy pots and pans in the dishwasher. I know, I know that’s why you bought it and the dishwasher will get those greasy pots clean. But all that heated, liquid grease is going to run through your plumbing. Once it cools, it’ll solidify. With enough grease you’ll have odours backing up into your dishwasher, you can clog your drains, and even worse. Do everyone a favour and dispose of that holiday grease before you wash.
DO take the time to make sure your dishwasher is clean every day. I’m not saying you need to actually clean it every day, but a quick inspection is all you need to make sure your dishwasher will be at its best when you really need it. So load up your dishwasher with that holiday cheer, turn it on, kick back and relax. After a Thanksgiving dinner like that, doesn’t it feel great to let someone else do the dirty work?